Canines by Kristin strives to make your dog's grooming experience as stress-free as possible. All dogs are groomed one at a time, straight through, receiving one on one, personal attention. We offer breed standard, modified breed standard for easier maintenance, and customized cuts. We use only high quality, dog safe products. 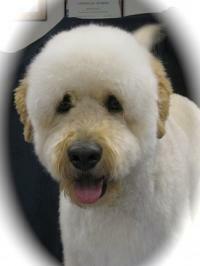 Prices vary depending on breed, coat condition, maintenance, and style. Please call for a price quote.